What to Look for in a Car Insurance Quote? Consumers who are looking to pay less for insurance or need to buy a new policy will likely find the information in this section helpful. It may seem like getting a quote that looks decent and immediately buying the policy is the best solution, but patience is usually rewarded when it comes to signing up for a policy. Automobile.com provides a checklist for consumers to aid them through the quote process. From reviewing an existing policy to determine any possible deficiencies to compiling vital information, this quote guide will help anyone tackle the first step with ease. Once a consumer has his or her quotes lined up and has narrowed the options, it is time to pick the best one. This guide will help drivers determine what it takes to build an adequate policy that offers maximum protection for the best price. From essential coverage to useful add-ons, this guide covers all aspects of policies and addresses potential questions or areas of concern. 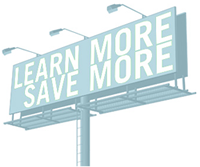 Additionally, those looking to reduce premiums will benefit from looking the "How to Save Money on a Plan" guide. The best looking insurance policy available would mean nothing without a reputable insurer backing it up. Automobile.com has made it easy to compare insurance providers in terms of reputation, history and consumer favorability. Choosing a trusted provider will bring extra peace of mind to policyholders. Accidents and claims are an unfortunate reality in the car insurance industry. Although nobody wants to have to file a claim, the overwhelming majority of drivers will be forced to - whether it is a simple rock chip in a windshield or a catastrophic collision. This section helps drivers determine the best course of action once an accident or incident takes place. Topics range from filing a police report to dealing with the insurance company claims process. Additionally, the topic of impaired driving is addressed in great detail. Users who have specific questions about coverage or car insurance in general are encouraged to ask them through the company's Facebook and Twitter pages. The Traffic Law Questions section (also located within the car insurance resource) will be updated regularly with new answers to user inquiries. 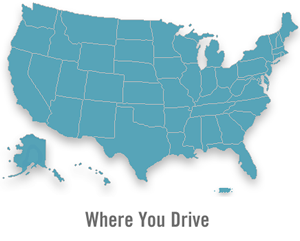 Finally, the Where You Drive section features insurance requirements and minimum coverage statistics for all fifty states.